"Our Jorge Luis was a knowledgeable, easy going and calm guide. He made our experience..."
"We had Yenni as our guide, who was completely passionate, knew all the right places..."
"Great tour, fabulous locations and a great guide. The food was excellent. The boat..."
"The tour provided a great introduction to the real Cuba - from the bustling city..."
"We decided to take a trip for 10 days around Cuba with MiCuba and the experience..."
"Fantastic tour and Valerie was an outstanding guide"
Short trip to Cuba. Live like a local for 8 days! "Muy buen viaje, me la pase increíble! La atención excelente! Excelente organización...."
"I had the pleasure to take part of the Active Cuba tour and it was excellent. 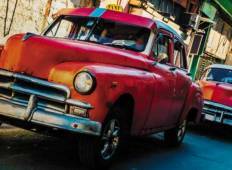 The..."
"A great way to see Cuba in a small group before it gets overtouristed. Our Guide,..."
"This was the most amazing tour/ holiday i have ever been on. The people were so friendly..."
"Well organised, great mix of organised activities and free time"
"We are a married and young at heart over 50's couple, that joined this group in Havana.I..."
"Cuba was such a great, untouched destination, made very accessible by our local guide..."
"One of the best, most relaxing weeks of my life sailing in paradise! 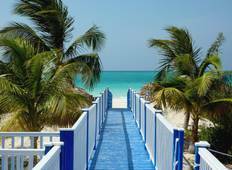 Amazing beaches,..."
"It was amazing, great island, great people and the organization was the best! Would..."